Russian Foreign Minister Sergei Lavrov has ruled out holding fresh talks in Geneva to defuse the Ukraine crisis, unless pro-Russian opposition groups are involved. 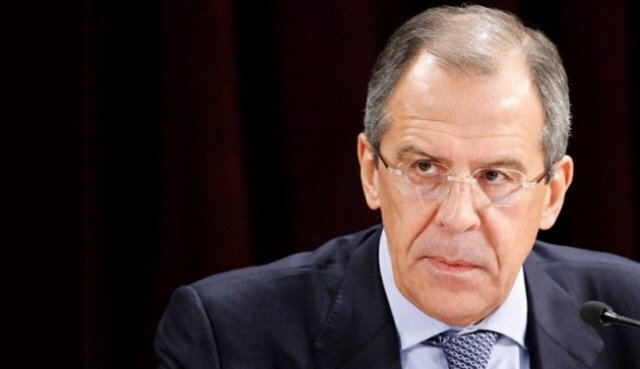 Sergei Lavrov added there was no point as an April accord between the US, EU and Russia had not been implemented. He spoke after a Council of Europe meeting which was expected to support Ukraine’s plans for a May 25 election. But Sergei Lavrov called an election “unusual” at a time when the army was being used against the population. Ukrainian acting Foreign Minister Andriy Deshchytsia said Ukraine was ready to back a new round of talks in Geneva as long as Moscow supported presidential elections. “If Russia is ready to commit itself to support these elections and to eliminate this threat and eliminate its support for the extremist elements in Ukraine, we are ready to have such a round of meetings,” he said at a news conference. Andriy Deshchytsia later appealed for international observers to be sent to Ukraine to monitor the elections on May 25. “[We] also asked the partners to make everything possible to eliminate the external threats and provocations supported by Russia in Ukraine to allow these elections to take place in a free and democratic way,” he added. OSCE Chairman Didier Burkhalter said there should be a ceasefire in Ukraine ahead of the May presidential election – as holding it is very difficult in the current situation, the AFP news agency reports. In recent days, security forces have launched a crackdown on pro-Russian separatists in the east of the country, triggering clashes outside the town of Sloviansk. Interior Minister Arsen Avakov said on Tuesday that four soldiers and an estimated 30 separatists had been killed in the “anti-terrorism operation”. He said that up to 800 well-trained militants armed with large-calibre weapons and mortars were hiding among civilians in the town, where government buildings have been seized and checkpoints set up. A Russia Today reporter in Sloviansk said residents were stockpiling food and there were barricades on almost every road. In the southern port of Mariupol, where the city council building was seized a week ago by pro-Russia militants, there were reports of gunfire near a military base close to the city’s airport, local media reported. Tyres were also set on fire in the city centre, giving off thick smoke, they said. Meanwhile, many flights in and out of Donetsk were suspended. The Ukrainian aviation authorities gave no reason for the move. New checkpoints were earlier set up around Kiev. The interior ministry said it wanted to prevent the movement of weapons and explosives. The authorities also attempted to re-establish control over Odessa, with Interim President Oleksandr Turchynov dismissing the acting head of the regional administration, Volodymyr Nemyrovskyy. Forty-six people died in the Black Sea city on Friday in a fire at an official building and fighting between pro-Russian and pro-Ukrainian protesters. At a news conference in Vienna on Tuesday, Sergei Lavrov said holding further international talks on Ukraine as some have suggested would be like “going round in circles”. Instead, he explained, the government in Kiev and their Western backers needed to implement the series of steps to resolve the crisis that they had agreed in Geneva on April 17. Under the agreement, all parties, including the separatists in eastern Ukraine, were to “refrain from violence, intimidation and provocative acts”. It also said those occupying buildings would have to leave them and be disarmed in return for an amnesty. They also agreed to an inclusive constitutional process that would include the establishment of a broad national dialogue and consideration of proposed amendments. Sergei Lavrov said he was not against a follow-up meeting to discuss the accord, but that it would not “have any added value” unless representatives of the separatists were invited. The May 25 presidential election was called after pro-Kremlin President Viktor Yanukovych was overthrown by pro-Western protesters in February. “Scheduling an election during a time when the army is being used against a part of the population is not conventional – it’s not Afghanistan,” Sergei Lavrov noted. Monica Lewinsky Vanity Fair article: "I deeply regret what happened between me and President Clinton"